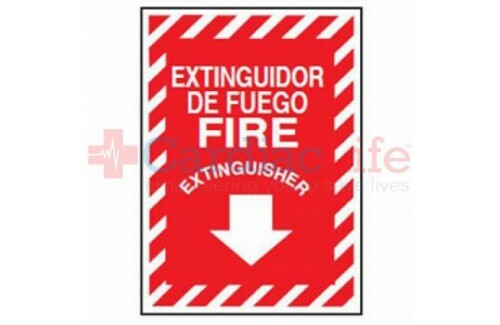 This Fire Extinguisher location Sign has high-visibility, making it easy to read in both Spanish and English. 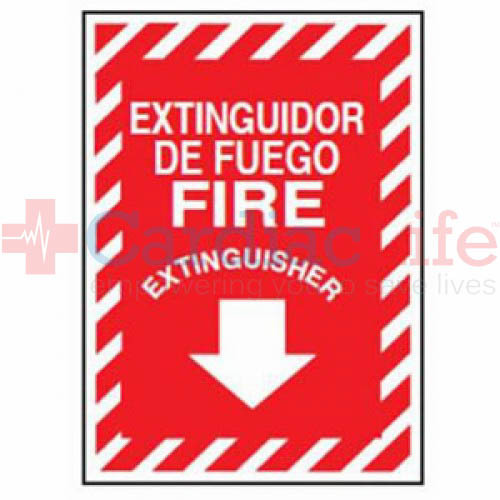 Have a different Fire Wall Sign in mind? We have other options to choose from. Glow-in-the-Dark Compact First Aid Tent Sign-7"x10"
AED Stand Out Sign - 8.5" x 13"
AED Window Static Cling Sign - 8" x 13"
First Aid Vinyl Location Sign- 7"x17"